Looking for delicious deli sandwiches and ice cream in downtown Huntsville? Lucky you, because tucked into the side of the PNC Bank building on Church Street, The Cozy Cow has just what you need. The tiny restaurant has both indoor seating as well as outdoor patio seating. Additionally, The Cozy Cow sits right on the banks of Big Spring Park, so you could fill up a picnic basket with an array of Cozy Cow sandwiches, wraps, potato salad, coffee, tea and desserts and enjoy your lunch sitting at the water's edge. You might want to save the crusts of your bread to share with the park's feathered inhabitants. The Cozy Cow has a large selection of hand dipped ice cream, shakes and smoothies. Place your order at the counter before filling your cups at the beverage station and deciding where to sit. I chose a sandwich with smoked turkey piled high on jalapeño cheese bread with mayonnaise, mustard, lettuce and tomato. Other sandwich options include pimento cheese, ham, Reubens, BLTs, roast beef and chicken salad. The Cozy Cow also offers a variety of burgers and wraps. My sandwich came with a dill pickle spear and a side of homemade potato salad. It was all delicious. 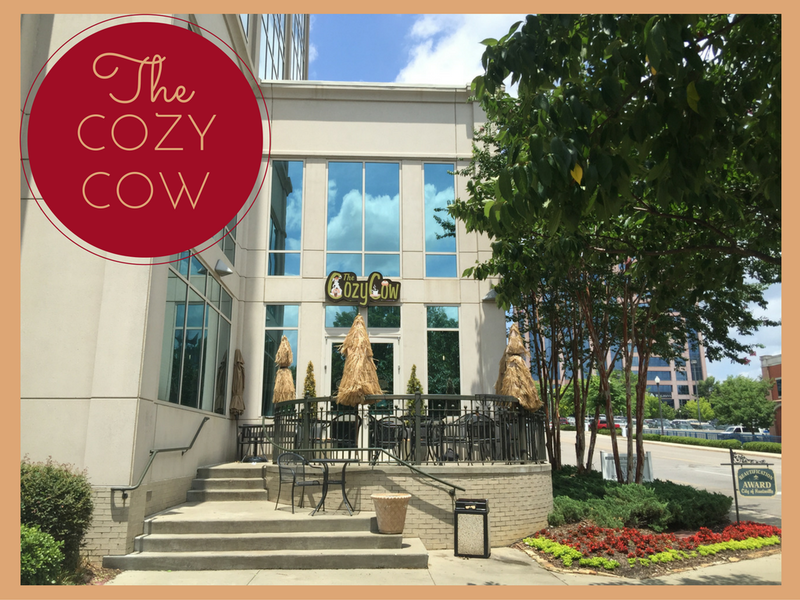 The Cozy Cow is small and can be a little difficult to find if you don't know where to look, but it is certainly worth a visit.